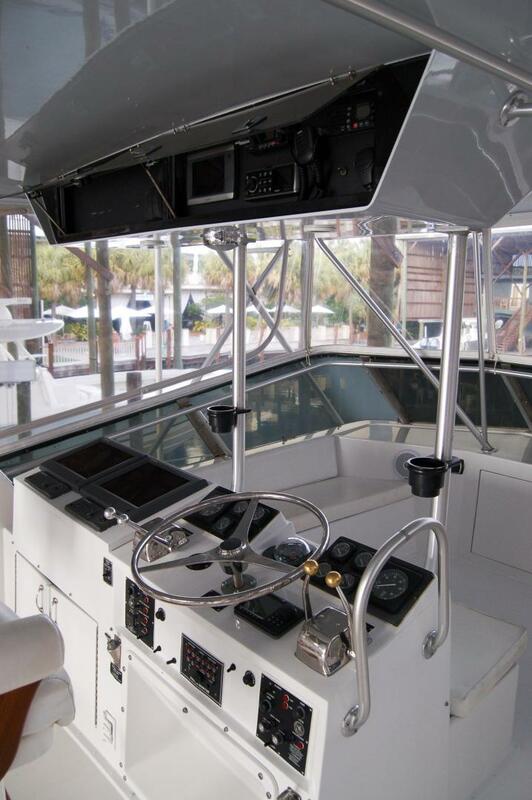 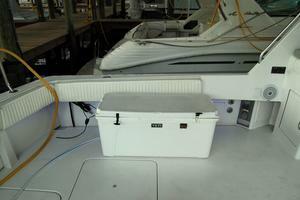 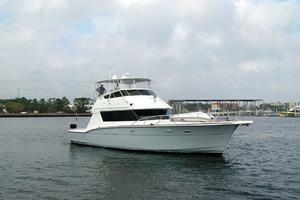 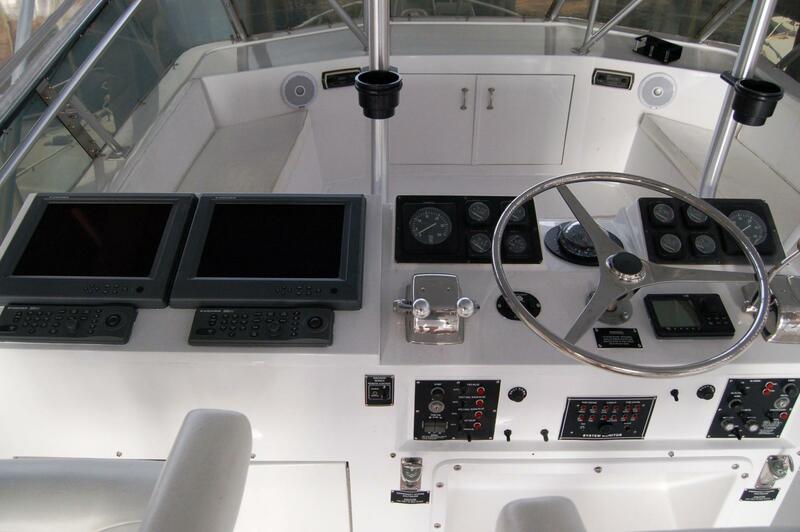 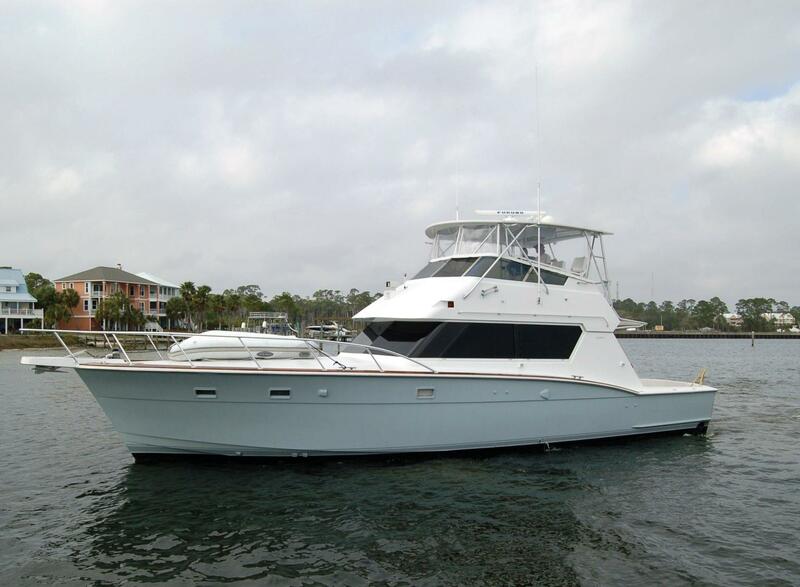 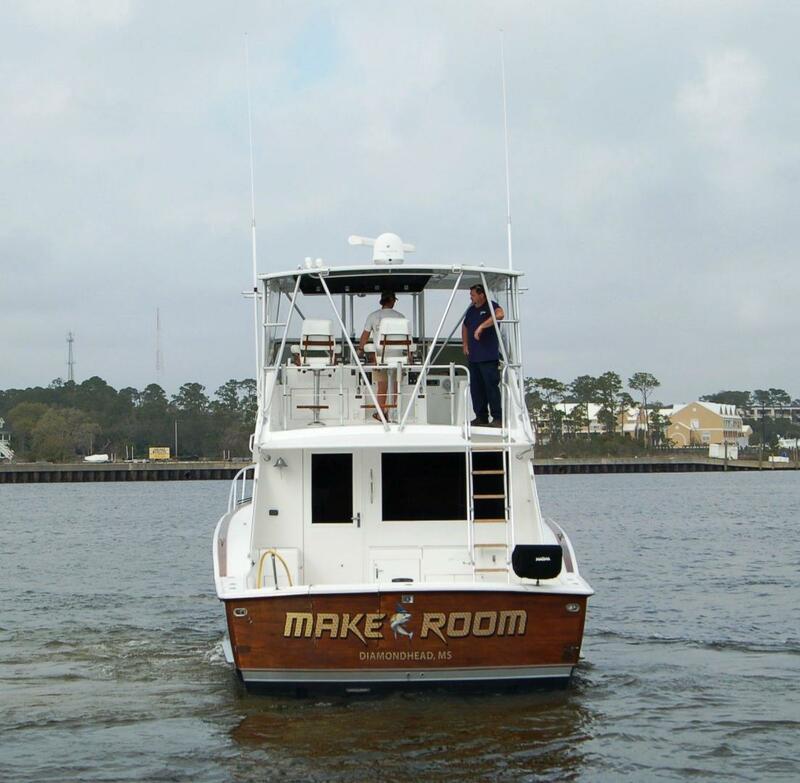 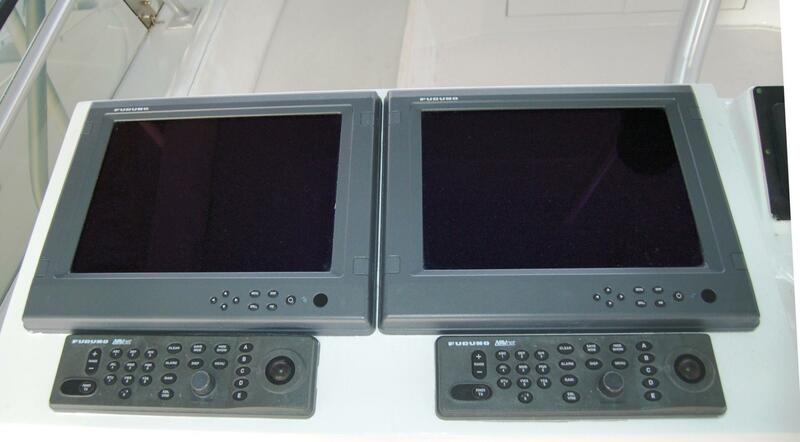 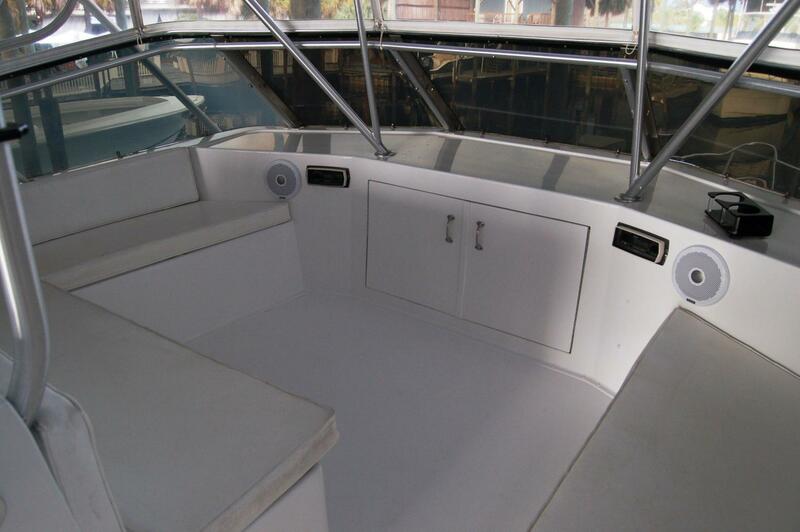 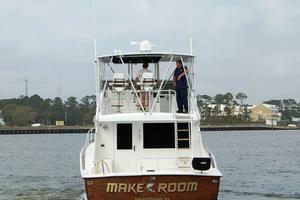 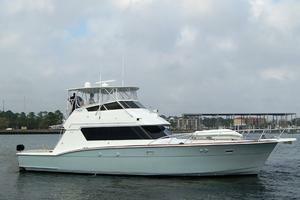 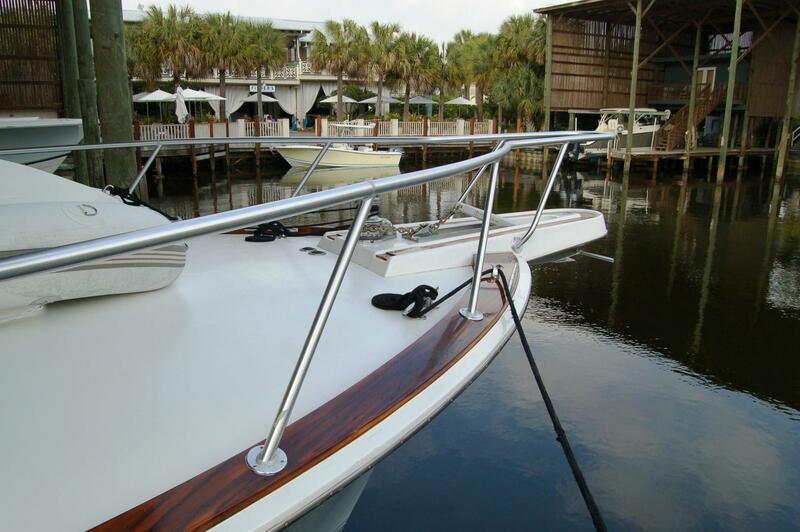 Here's your opportunity to own a completely updated classic Hatteras Sportfish. 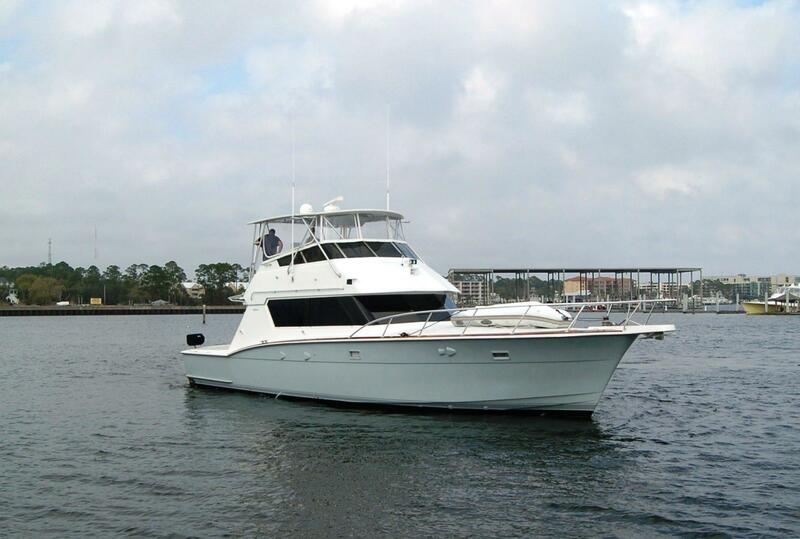 She has recent engine rebuilds, recent Awlgrip paint from top to bottom, updated interior and galley with granite countertops, updated electronics, soft goods, custom faux teak hull accents, fighting chair (just rebuilt), underwater lights, custom cockpit table, the works. 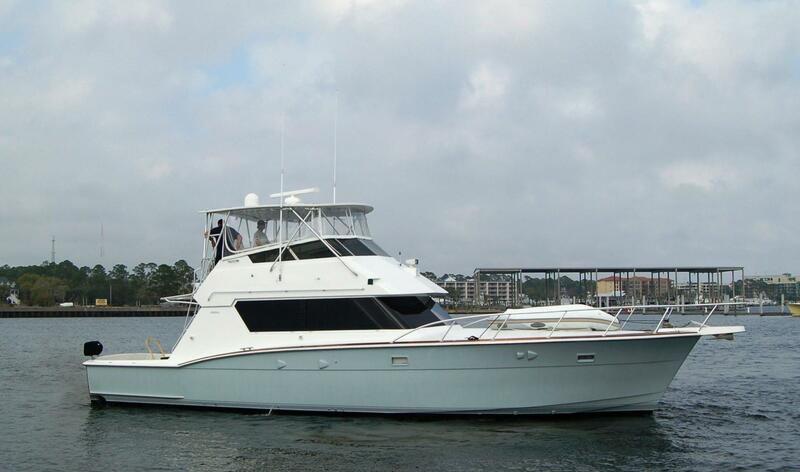 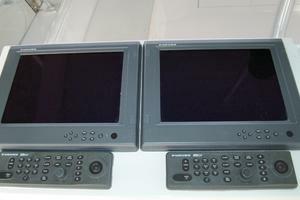 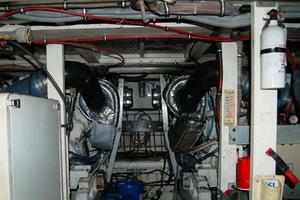 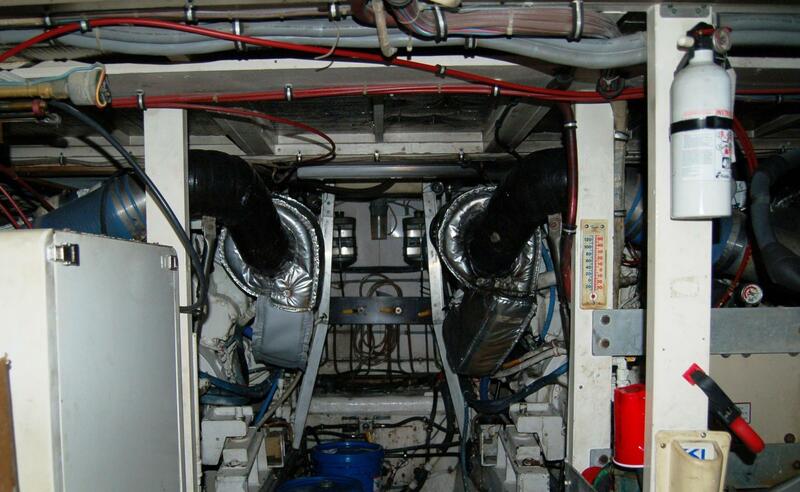 Her current owners have invested over 400K in her in the past four years and they are ready for their next yacht. 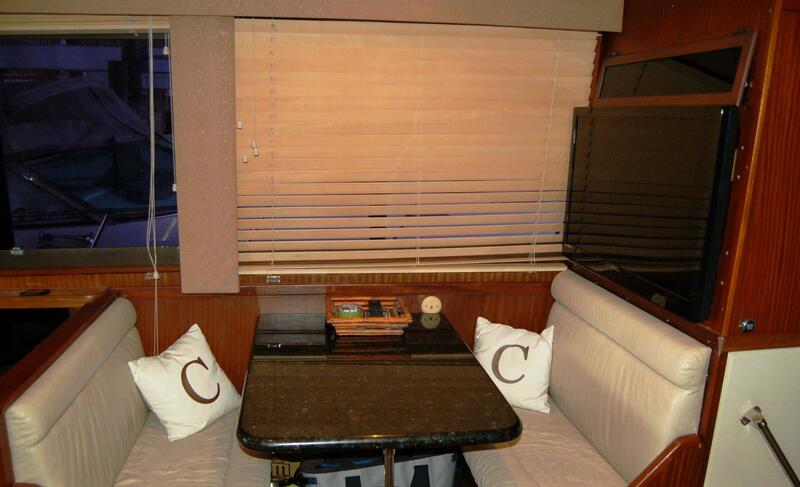 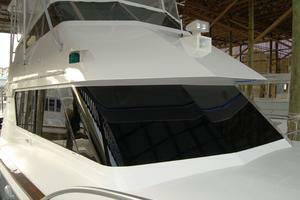 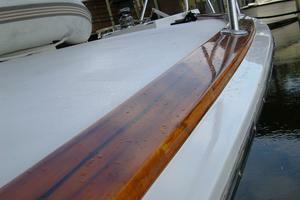 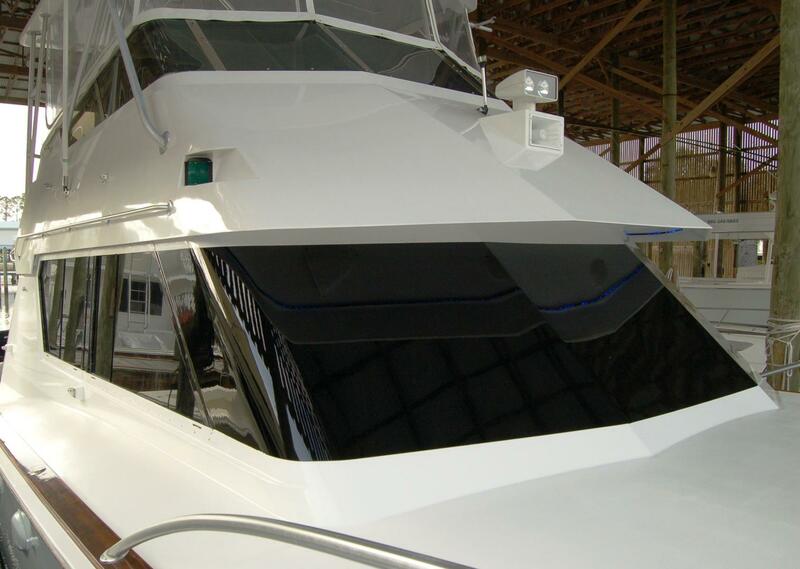 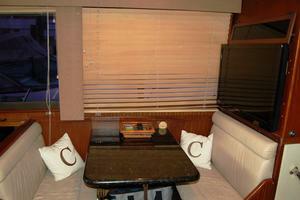 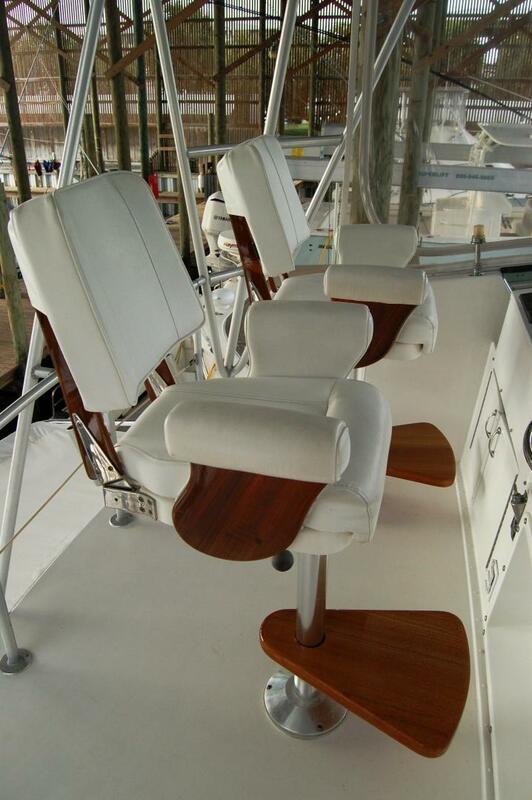 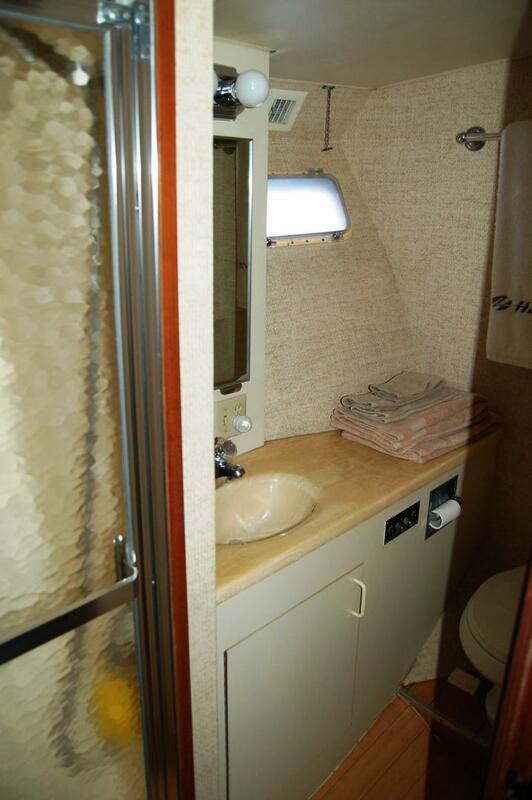 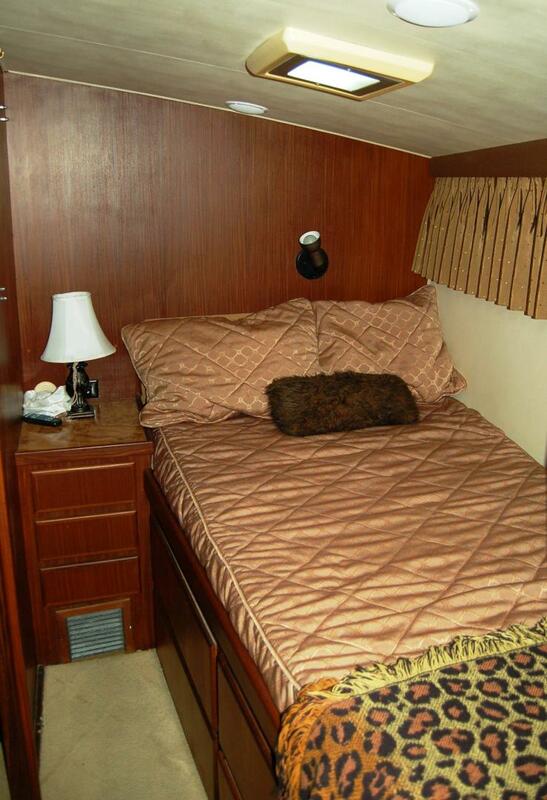 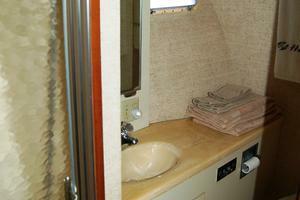 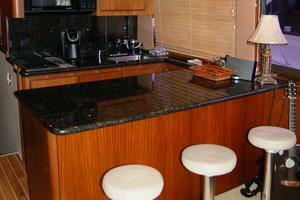 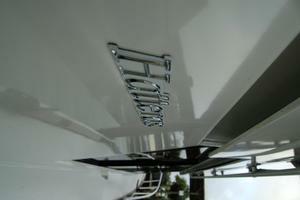 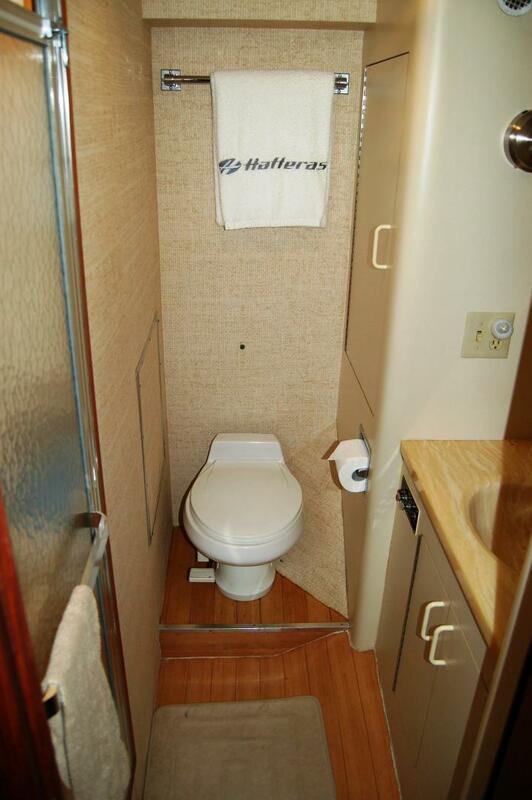 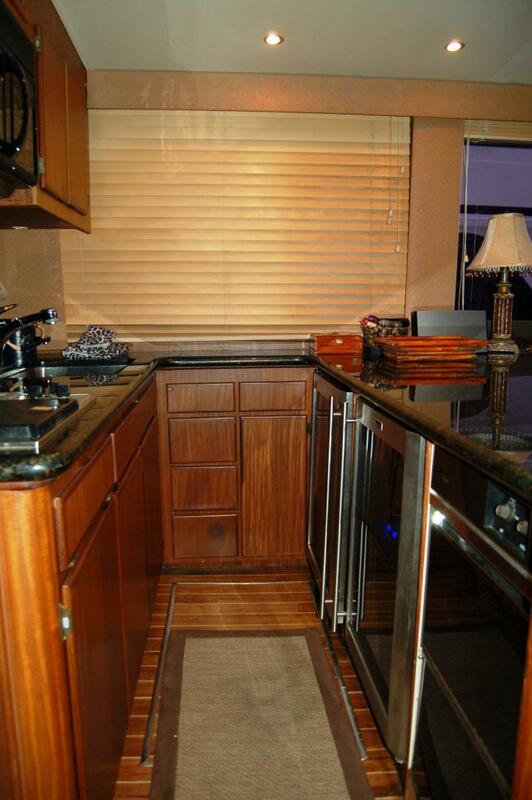 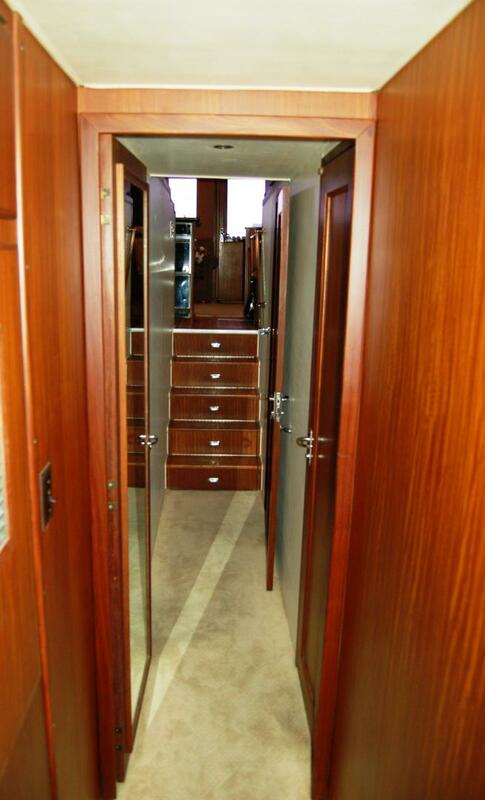 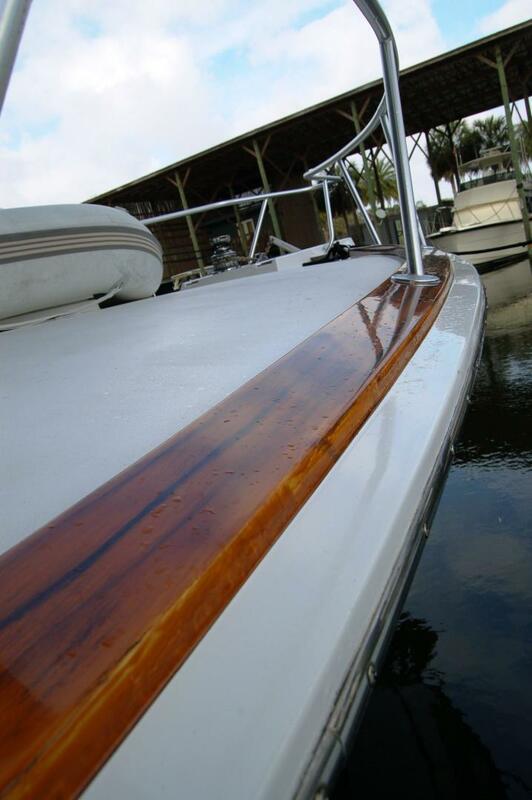 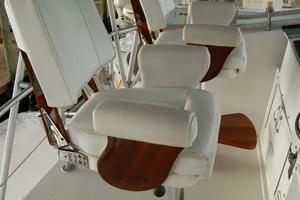 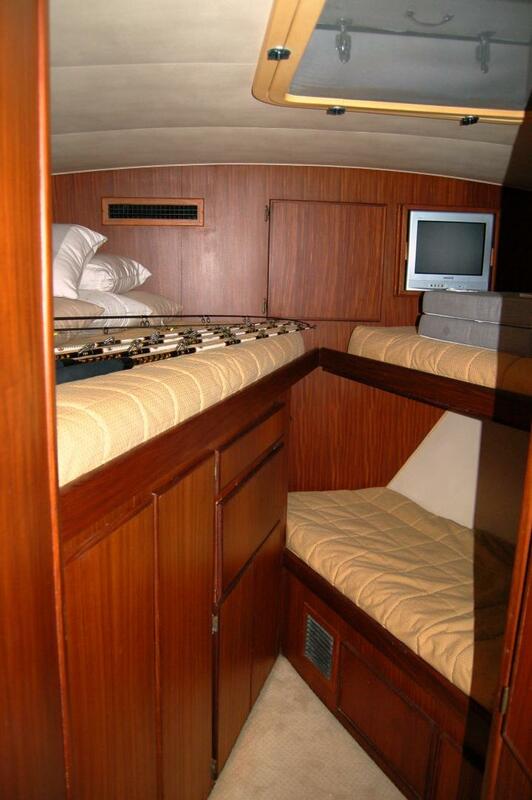 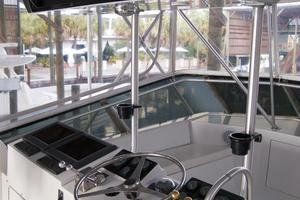 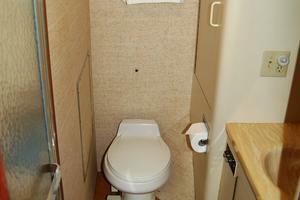 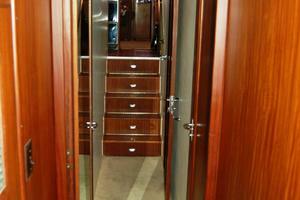 If you are looking for the nicest classic Hatteras on the planet, you have found it. 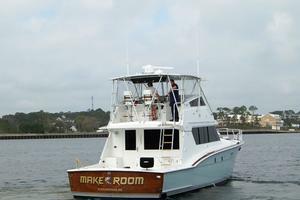 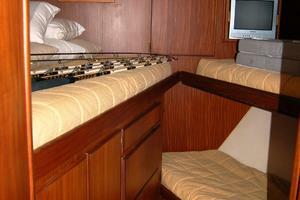 Make Room’s interior looks like a sportfisherman that was constructed in the 2000’s. 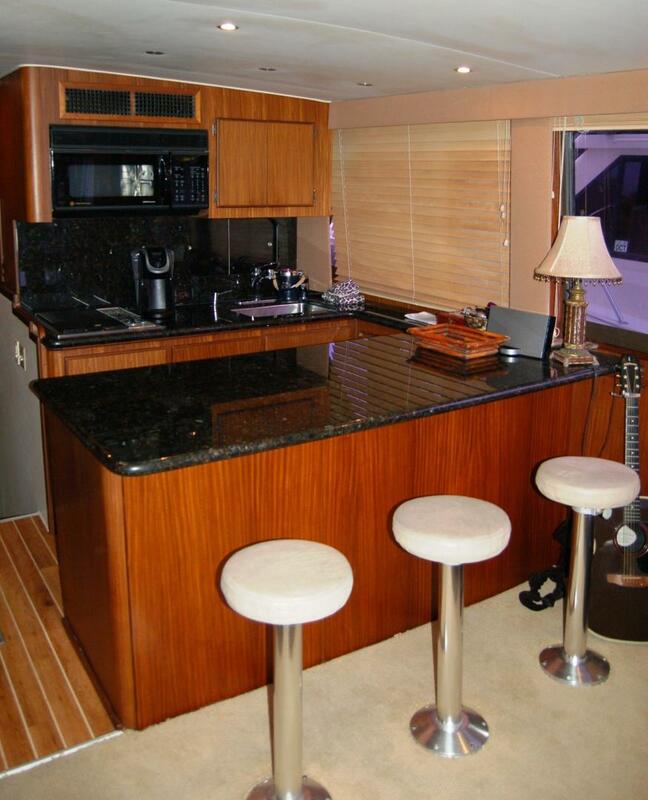 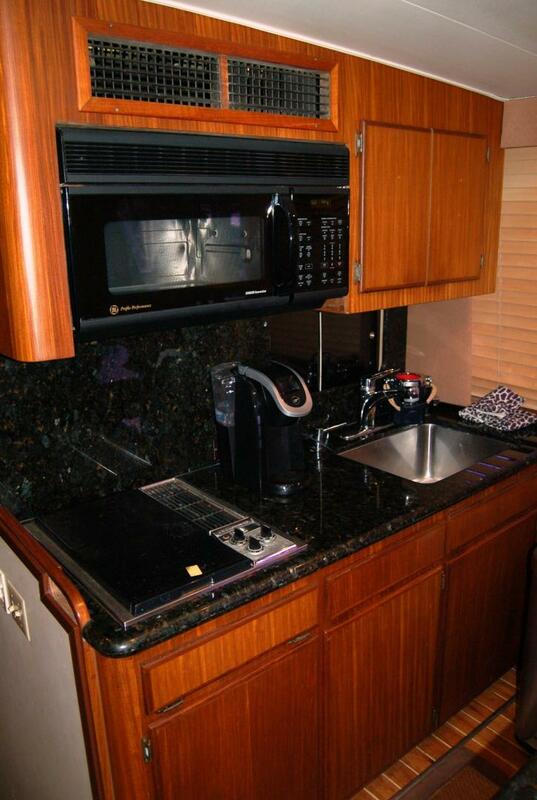 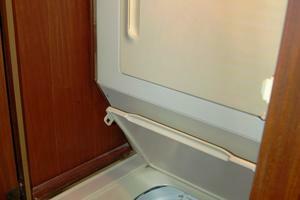 She has granite countertops in the galley, as well as updated appliances, flatscreen TV’s, 3 built-in barstools and a functional dinette that converts into a bunk for children. 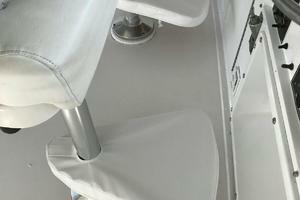 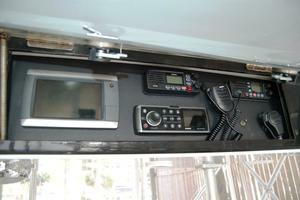 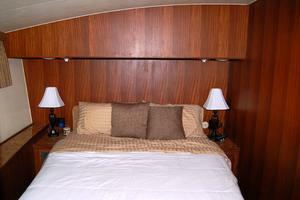 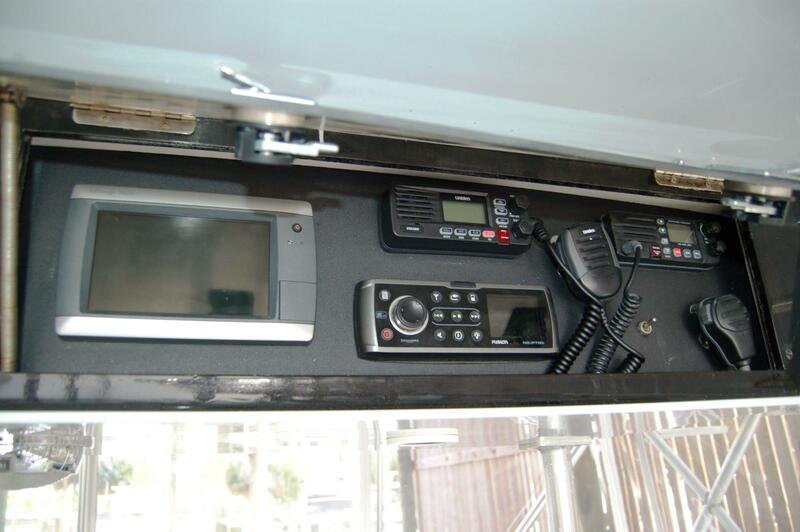 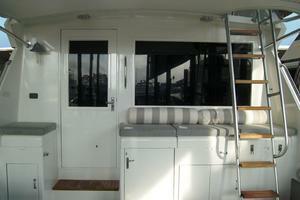 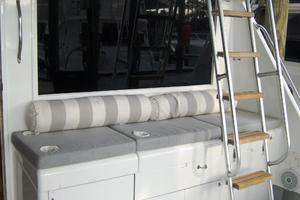 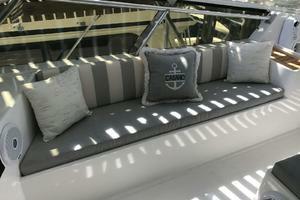 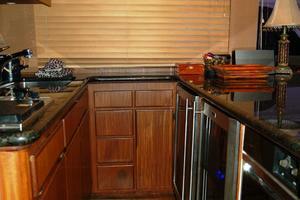 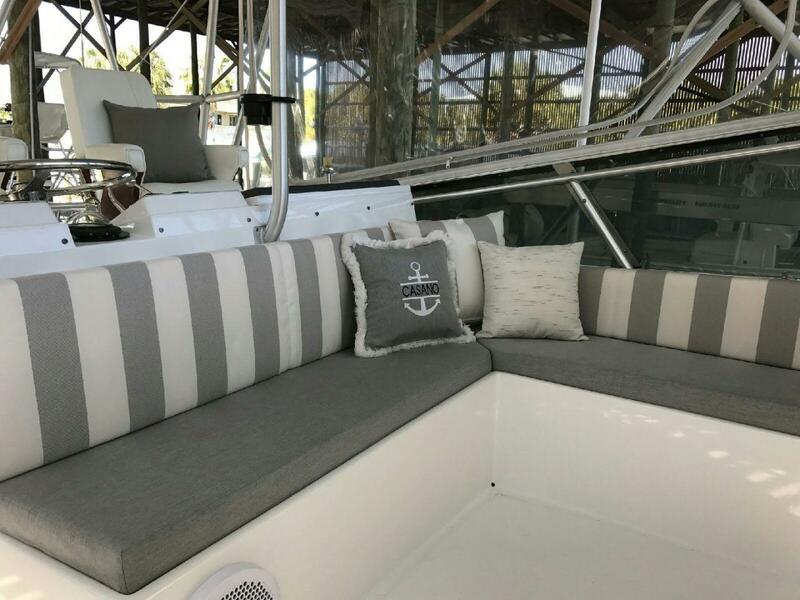 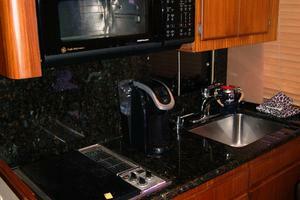 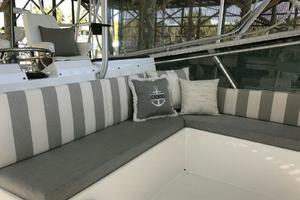 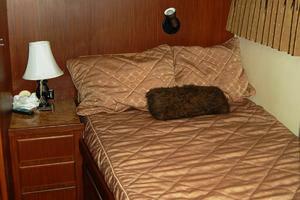 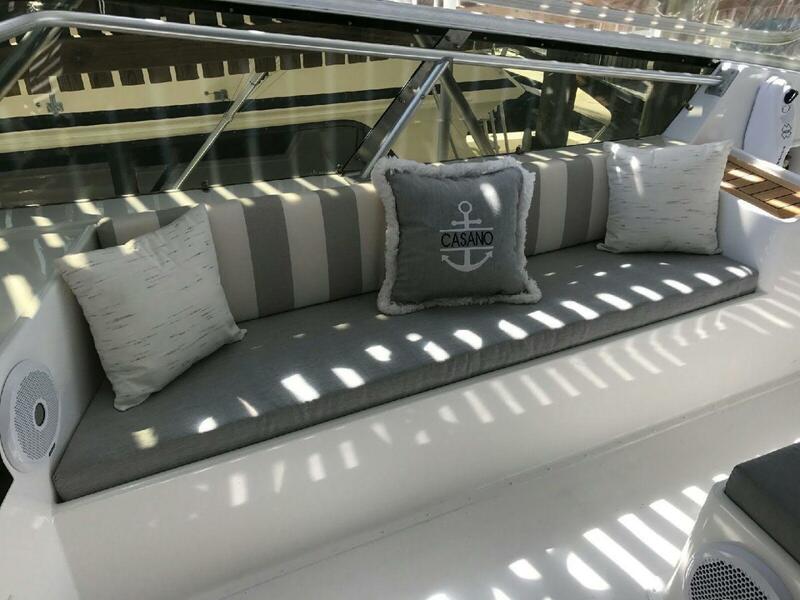 Wallcoverings and soft goods are updated throughout the vessel. 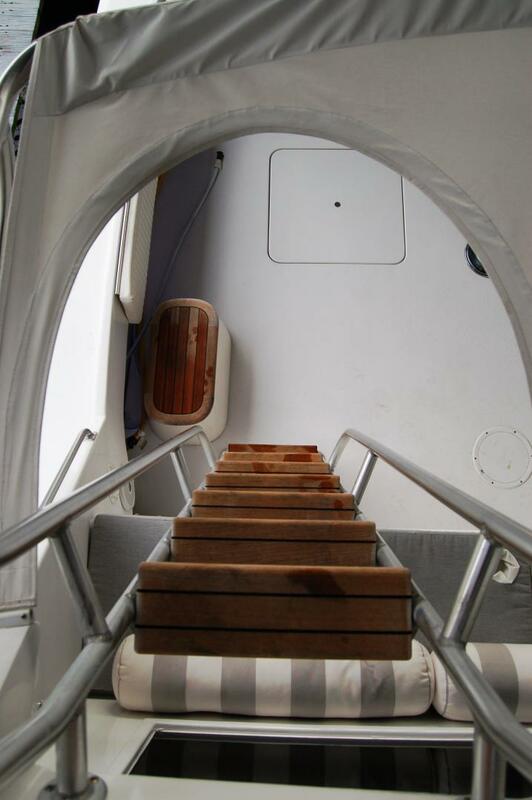 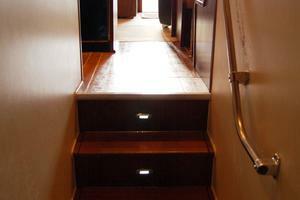 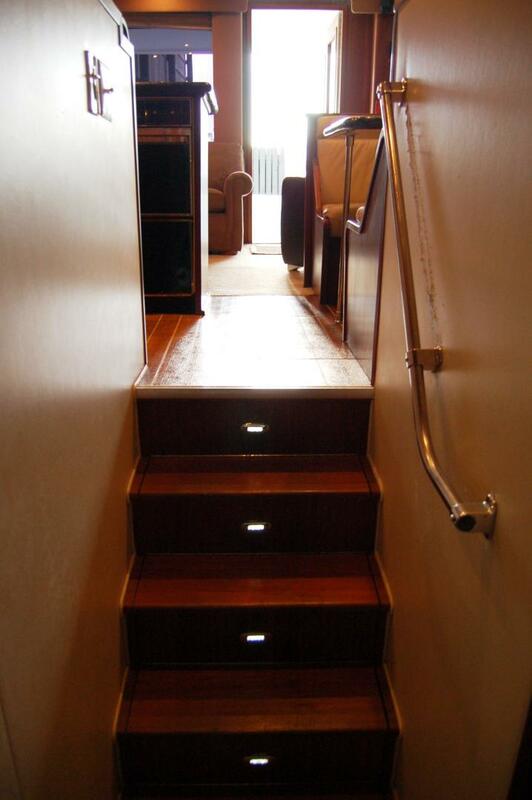 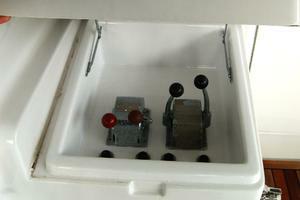 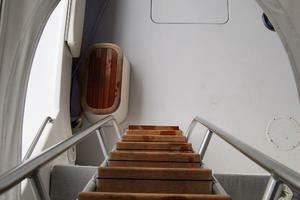 Going down the companionway forward from the salon, one will find the master stateroom to starboard. 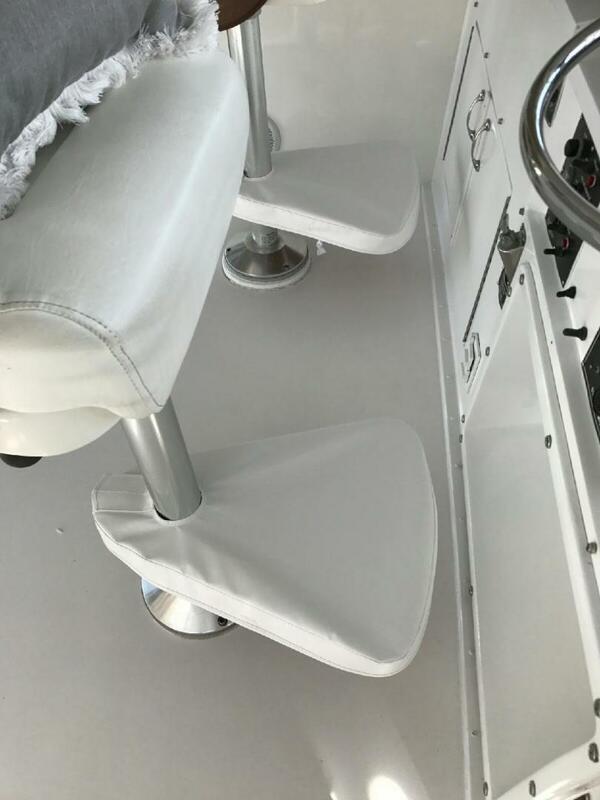 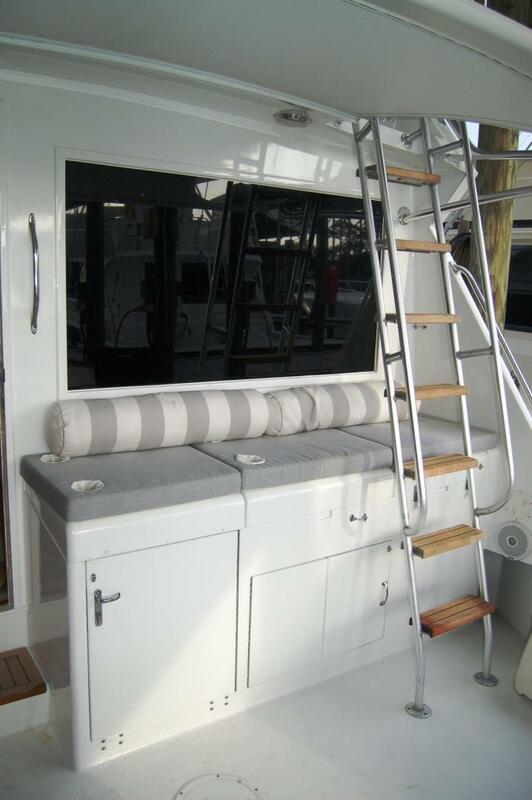 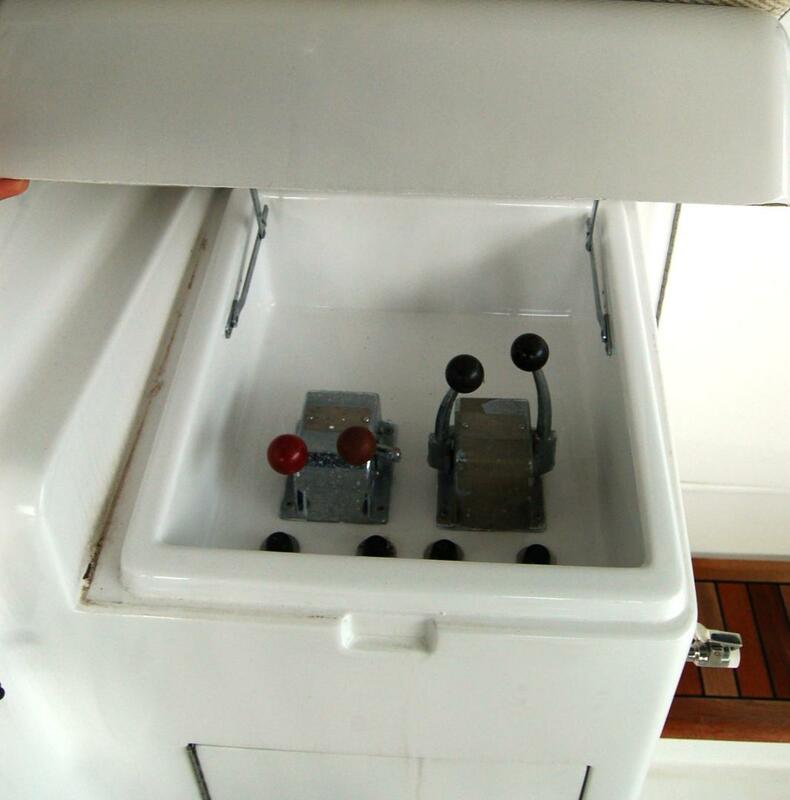 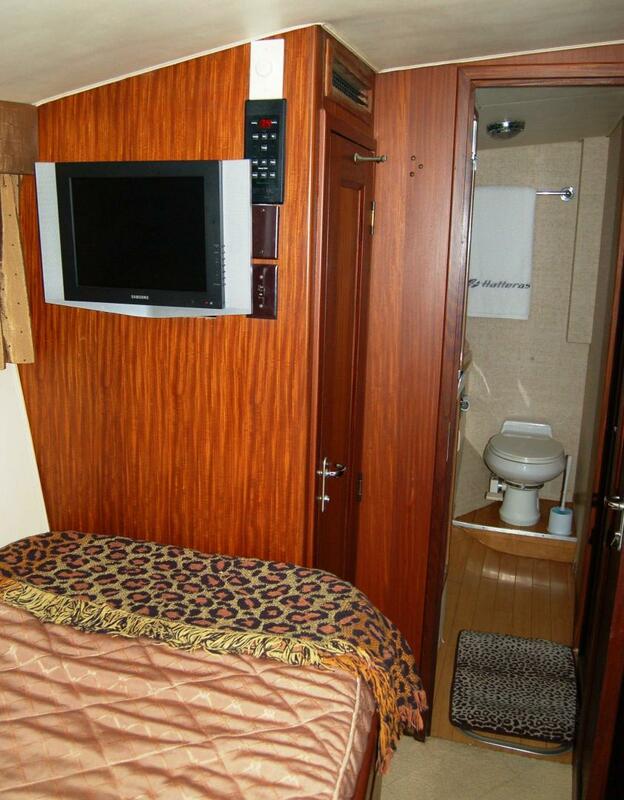 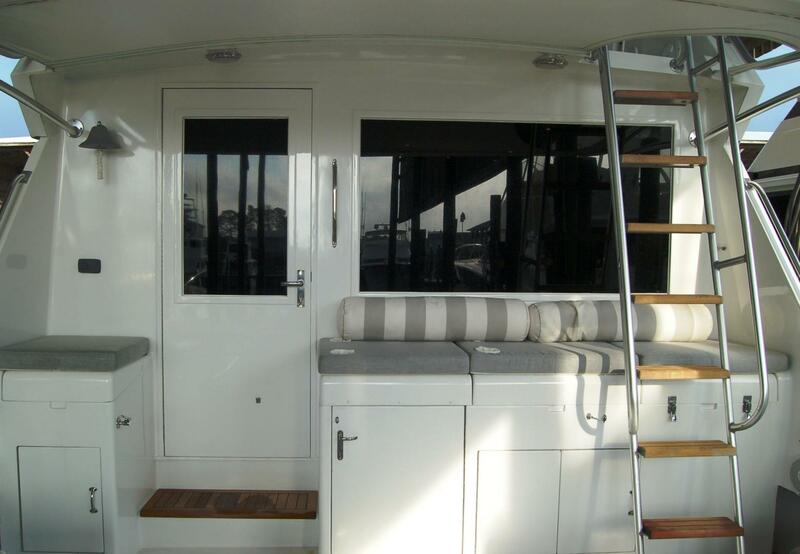 It has an island queen berth, built-in nightstands with storage to port and starboard, a hanging locker and a private ensuite head with separate shower. 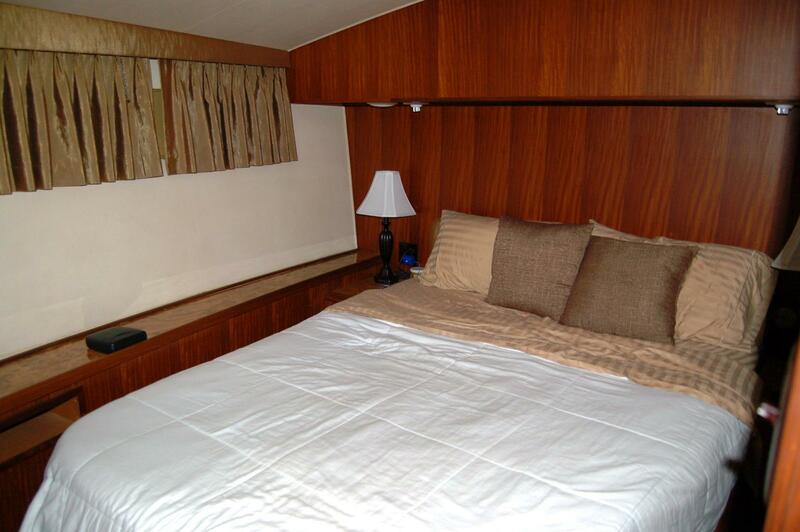 Across from the master stateroom is the VIP stateroom, with double bed, storage and private access to the second head and separate shower. 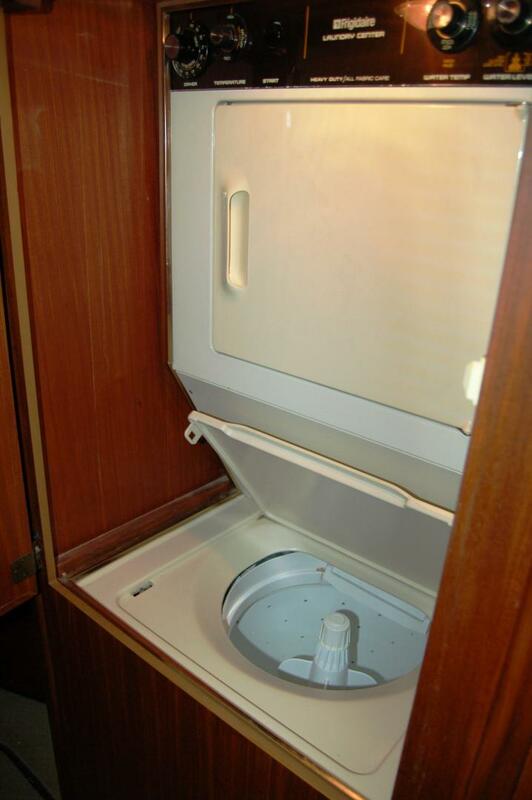 Moving forward down the hall, one will find a closet with a stackable washer and dryer. 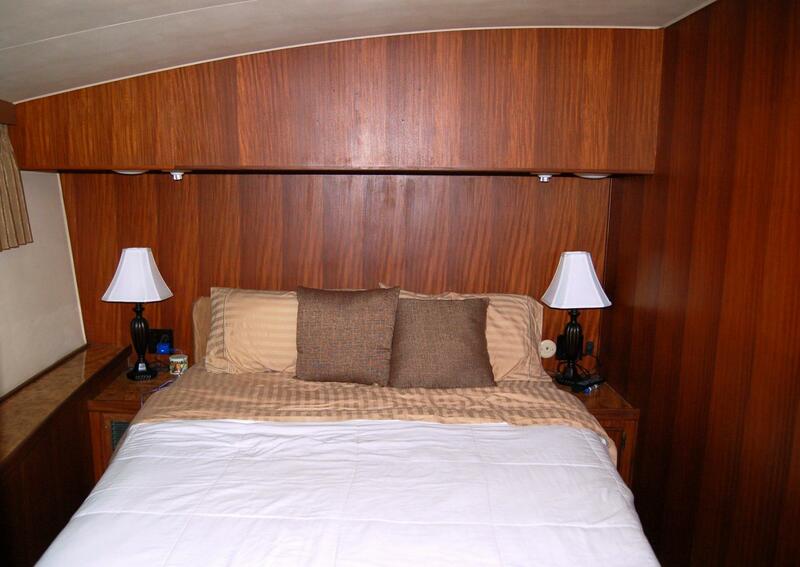 Toward the bow is the third stateroom, with three generous-sized bunks- two to starboard and a double bunk to port with storage underneath. 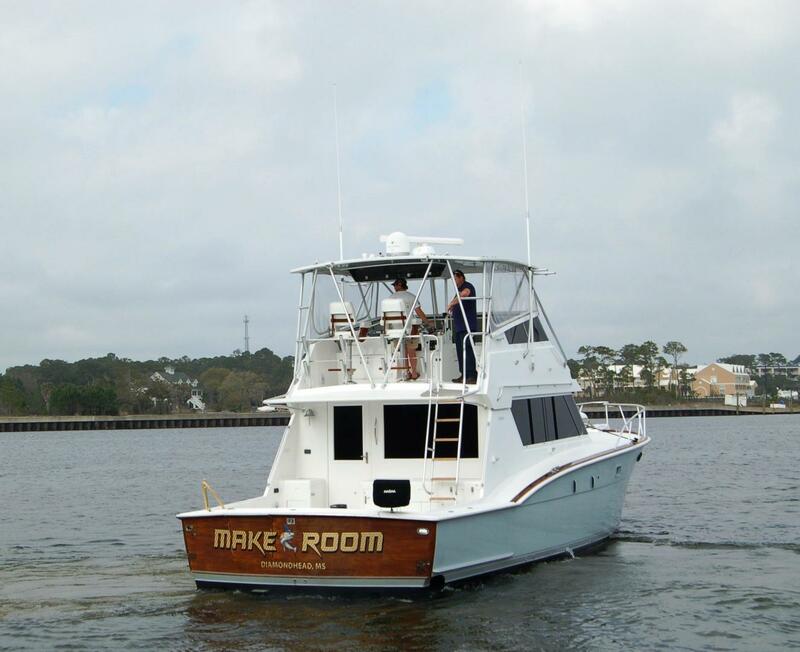 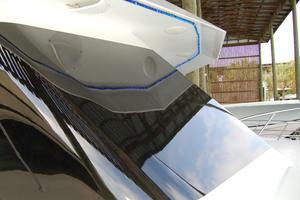 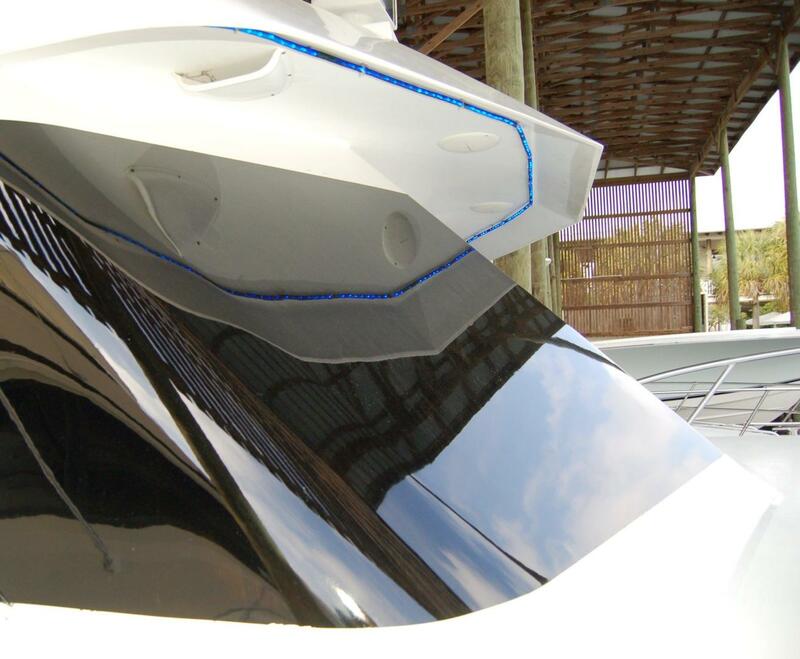 This boat can comfortably sleep nine anglers.